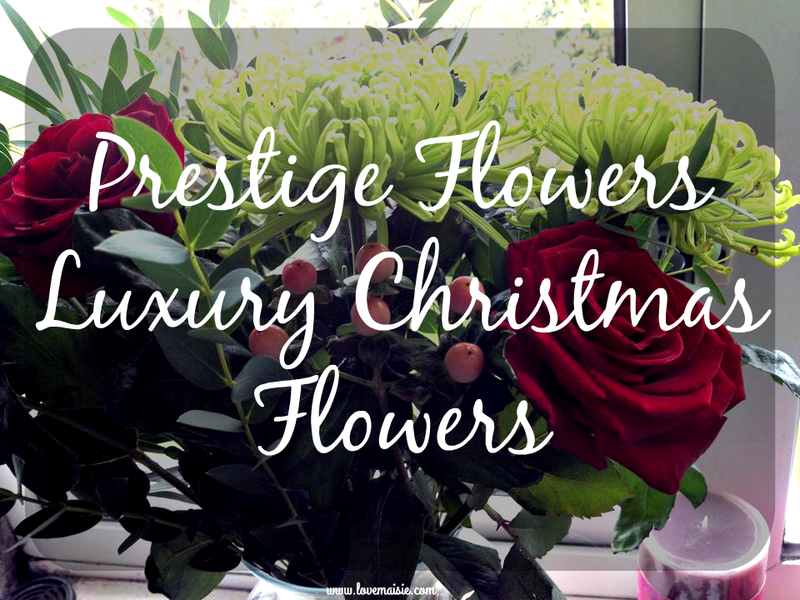 A couple of weeks ago, the lovely Gabriela over at Prestige Flowers got in touch to see if I’d be interested in reviewing one of their Christmas flowers bouquets* from their platinum range, so being the flower child I always have been, of course I said yes! There’s no escaping it, Christmas is only 9 weeks and 6 days away! The shops have started bringing out their advent calender’s, festive treats and greetings cards and I’ve even been to a restaurant that had their Christmas tree up! 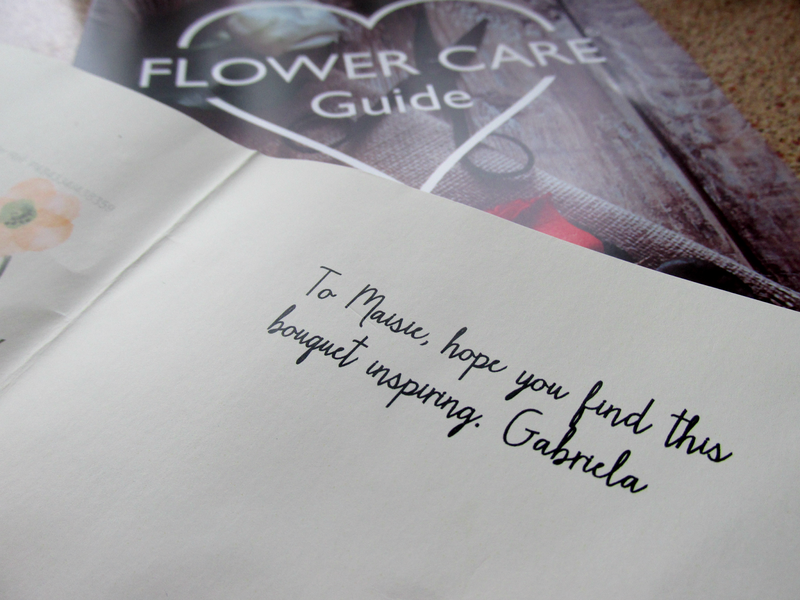 I’m a true believer in the power of flowers! I’ve lost count of how many times I’ve treated myself to a bunch, sorry not sorry! I think flowers are just perfect for every occasion, or non occasion if “well done, you made it out of bed this week” doesn’t count as reason to celebrate? (totally does!) and really, they make a super lovely but yet easy gift for that one person that you really don’t know what to get, because come on, everyone loves flowers, right? Prestige Flowers are one of the UK’s leading online florists and are currently voted numbero uno on the Review Centre and editor’s choice for best online florist over on Review Florist. Prestige Flowers cater for a wide range of occasions with their fresh flowers, plants and hampers that are all arranged in house by their highly trained florists. So it’s safe to say that I had high expectations, but let me tell you, they sure lived up to them! My gorgeous, perfectly festive bouquet arrived at the beginning of this week, safely wrapped up in a box, delivered right to my doorstep I had actually just popped out so they were left with our lovely neighbours but shh. 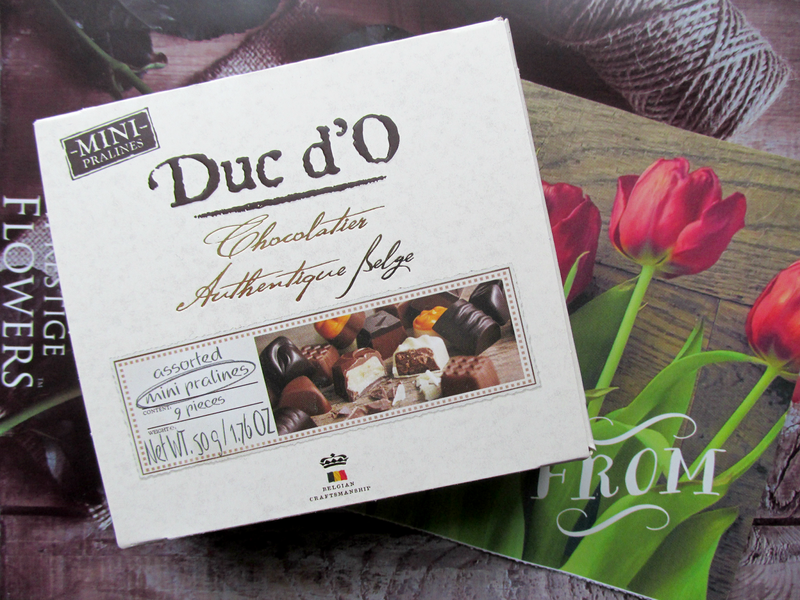 Along with them came a care guide and an adorable little box of chocolates! Unfortunately, i’m vegan so I wasn’t able to have them myself, but none the less, they were greatly appreciated. I had a quick read through the flower care guide, snipped the ends and got my bouquet into a vase and ran them up to my bedroom and proudly displayed them on my windowsill. The roses are ruby red and have bloomed so beautifully! 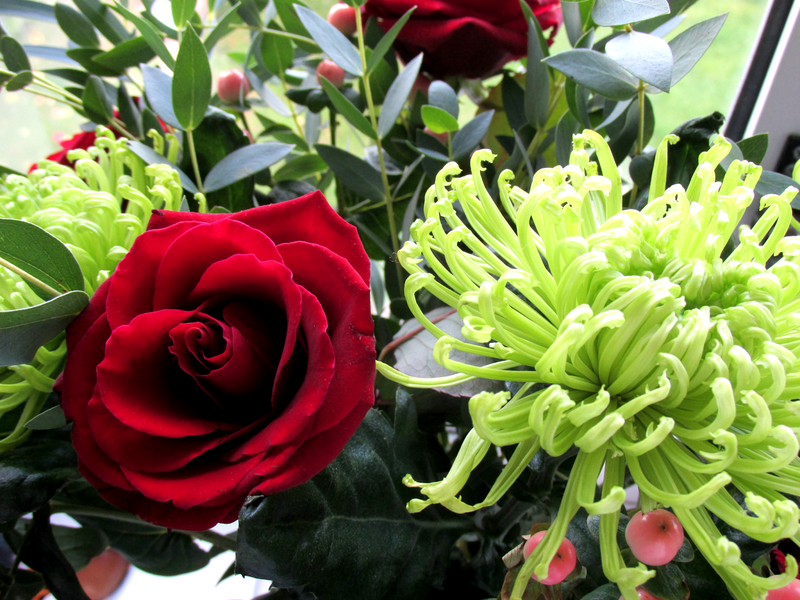 I adore the contrast in colours against the green in the bouquet. Despite my bouquet being in my bedroom, I think they’d be super fitting for a dining room table over the festive season! Did you know that there are over 20,000 varieties of rose?! How insane is that! It’s now Saturday and they’re still going strong! Not only does my bouquet still look lovely (I mean there are a couple of “cuts and bruises” shall we say but nothing overly noticeable) but they also smell divine! Overall, i’m super happy with this bouquet and I know that i’ll certainly be making a couple of Christmas flower purchases in the coming months! Speaking of making purchases, Prestige Flowers have kindly given all of you a 15% discount code that you can use not only on their Christmas flowers but on all bouquets, site wide! Just enter the code “MAISIE15” at the final stage of checkout! Their luxury Christmas bouquets are available from just £19.99! Have you ordered from Prestige Flowers before? Were you as satisfied as I was? Let me know if you make a purchase! *Disclaimer: Although this item was gifted to me by the above company, all opinions on the product are 100% honest and of my own. I would never give a false/misleading review of a product, no matter what relationship I have with the company. This flower bouquet really looks very beautiful and eye catchy. Roses are my favorite so I like this. 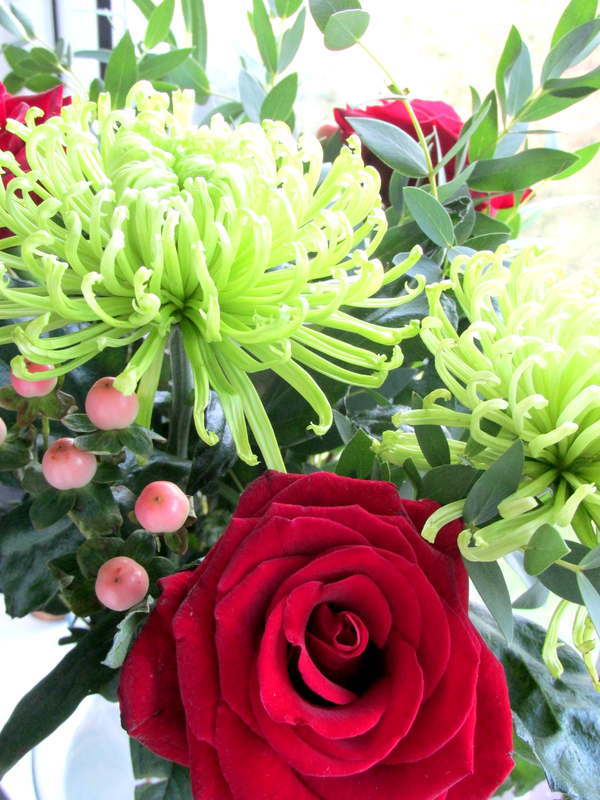 Flower bouquet is the gift you can give to anyone and everyone is going to like it.